Reception and Artists' Talk - January 30, 2018, at 6 p.m. (talk at 7 p.m.). 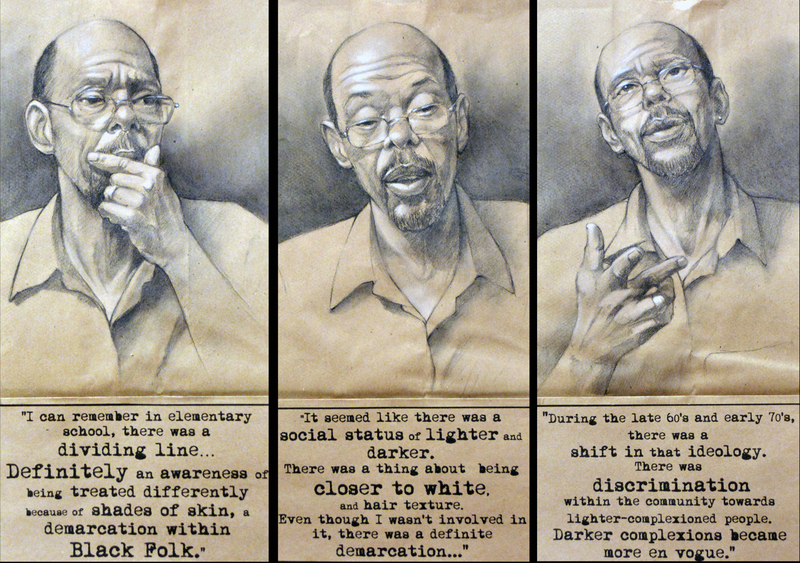 In 2016, the Center for Documentary Studies at Duke University awarded the twenty-fourth Dorothea Lange–Paul Taylor Prize to American artist, illustrator, and documentarian Steven M. Cozart for The Pass/Fail Series. The $10,000 prize supports documentary artists whose extended fieldwork projects rely on the interplay of words and images. 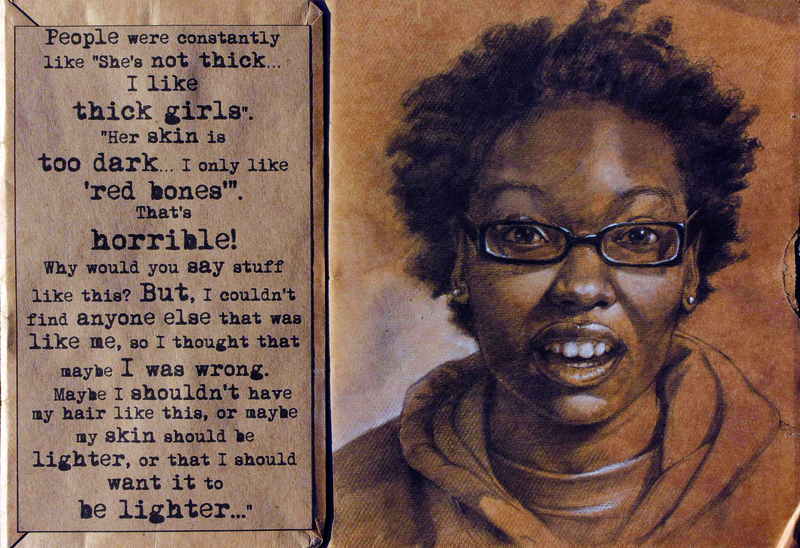 As part of his Lange-Taylor Prize, selections from Cozart’s work, which primarily explores colorism within the African American community, are now on view at CDS. A reception and artist's talk will be held at CDS on January 30, 2018, 6–8 p.m. (talk at 7 p.m.). 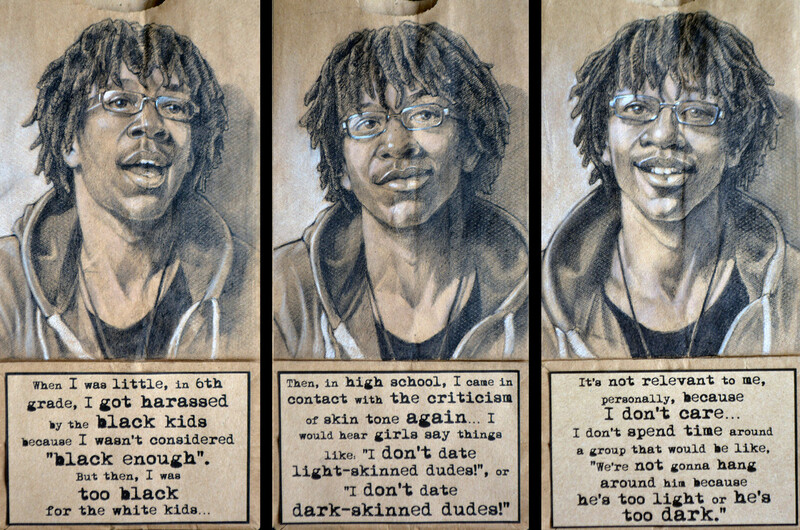 The Durham, North Carolina, native’s ongoing body of work is meant to spark introspective dialogue about issues of “classism and stereotyping by African Americans toward other African Americans based on several factors, including skin tone, hair texture, gender roles, and other myths and fallacies prevalent in the community,” he says. Steven Cozart received his BFA in art education, with a concentration in printmaking and drawing, from East Carolina University in 1995. More information is available on his website. 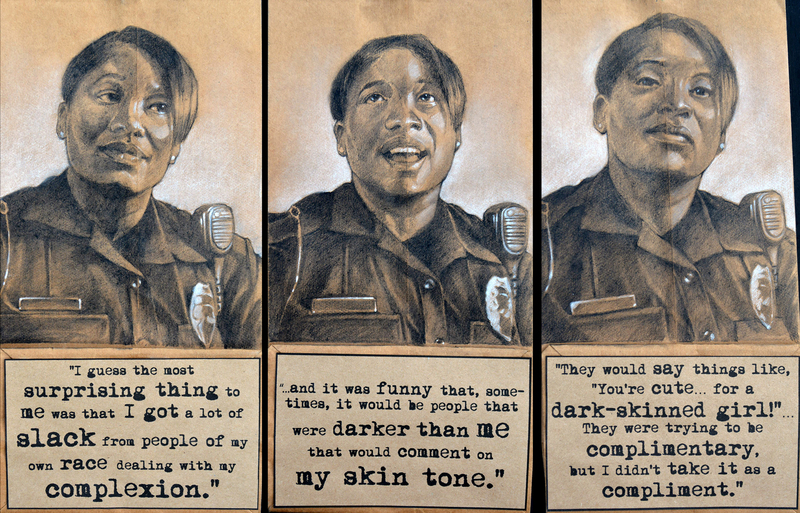 In a recent story for the Oxford American, CDS exhibitions director Courtney Reid-Eaton writes about The Pass/Fail Series, and about the history of colorism and its origins in white supremacy.